The Royal Enfield Interceptor 650 has been voted the Indian Motorcycle of the Year (IMOTY) for 2019. The Royal Enfield Interceptor beat out the competition which came in the form of the Yamaha R15 and the TVS Apache RR 310 and the Apache RTR 160, which finished second, third, and fourth respectively. 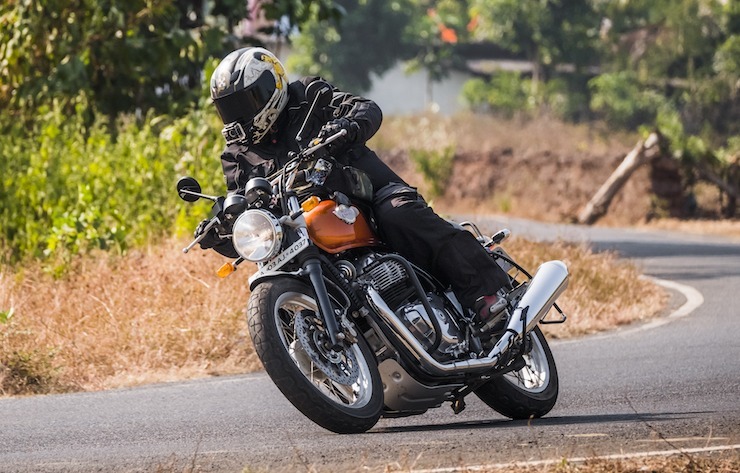 The all-new Royal Enfield Interceptor 650 was launched in India in November about two months after its international launch in the United States. The Interceptor 650 along with its sibling the Continental GT 650 marked the return of the brand to the twin-cylinder market after quite a while and the first time the brand has gone with more one-cylinder for the powerplant in its current guise in India. The Royal Interceptor 650 along with its sibling are the most powerful motorcycles in the motorcycle manufacturer’s lineup today. The Interceptor 650 is powered by an all-new 648cc fuel-injected parallel twin cylinder engine which produces 47 Bhp at 7,250 rpm and 52 Nm of torque at 5,250 rpm. The engine, which is quite smooth is paired with an all-new 6-speed gearbox and is augmented by a slipper clutch with an assist feature. The Royal Enfield Interceptor 650 features a steel tubular double cradle chassis. The suspension setup on the bike features conventional 41 mm forks with 110 mm of travel, while the rear end gets twin gash charged shocks with 88mm of travel. The suspension setup has five preload setting allowing riders to adjust the damping to their own preferred setup. Braking duties on the bike are handled by a 320 mm disc up front and a 240 mm unit at the rear which are augmented by dual-channel ABS setup from Bosch. 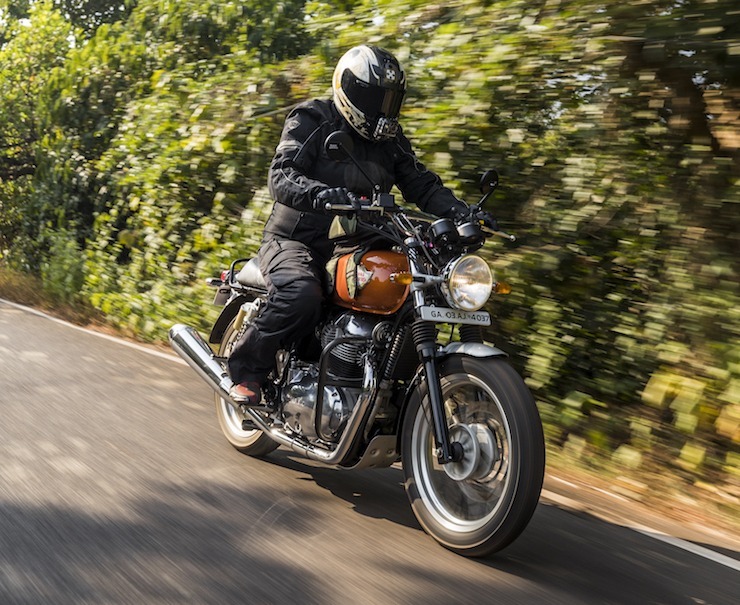 The Royal Enfield Interceptor 650 gets 18-inch wheels on either end which are wrapped in Pirelli Phantom Sportcomp tyres (100/90 front and 130/70 rear). The Royal Enfield Interceptor 650 retains the old school cruiser motorcycle looks that the brand is known for and it offers a more upright and comfortable riding stance compared to its more aggressive looking cafe racer sibling which is the Continental GT 650. The Royal Enfield Interceptor 650 is also the most affordable twin cylinder motorcycle currently on sale in India. Prices for the Royal Enfield Interceptor 650 currently start at just Rs 2.50 lakhs which is Rs 15,00 less expensive than its sibling the Continental GT 650 and over Rs 50,000 than smaller displacement sports bikes from Japan’s finest. 2019 IMOTY marks the 12th year for the awards. This year the independent jury consisted of 16 motorcycle journalists who voted for the winning motorcycle from the 12 shortlisted bikes. The jurors judged the bikes on multiple parameters including design, value for money, technical innovation, build quality, performance, practicality, fuel economy, and their suitability for Indian riding conditions. Sid Lal, the CEO of Royal Enfield collected the IMOTY 2019 award on behalf of his company for the Interceptor 650. « Upcoming 2019 Mahindra Thar rendered: Bigger, wider!